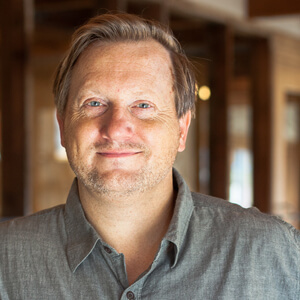 John Sundstrom is a James Beard Award-winning Seattle chef known for his thoughtful use of foraged and wild ingredients. In 2003, two years after being named one of Food & Wine’s Best New Chefs in America, Sundstrom opened Lark in Seattle’s Capitol Hill neighborhood. In late 2014, he relocated Lark to a larger space and opened Slab Sandwiches + Pie in the same building. In 2013, Sundstrom published his first cookbook, Lark: Cooking Against the Grain, which was awarded an IACP Judges Choice Award. In August of 2016, Sasquatch Books published Lark: Cooking Wild in the Northwest, a new paperback edition that includes a chapter on favorite larder items. Sundstrom was honored to be a speaker at René Redzepi’s MAD5 Symposium in Copenhagen in the summer of 2016, and in December Southpaw, Sundstrom’s foray into wood-fired pizza, opened in the original Lark space. To learn more, visit www.larkseattle.com.